Bumper Balls / Bubble Soccer / Battle Balls are now available! 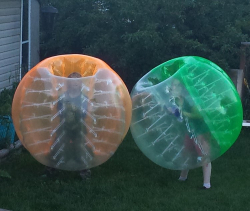 Have fun playing the new soccer craze or just let the kids have fun running around in these cool inflated balls. Choose your team size, from 2 to 8 balls available.